There is a simple way to set yourself apart as a true networking genius. It’s just this. You make it a rule to talk to someone and not about them. The opportunity to talk about comes up innocently enough. Someone you know will ask about someone else you know. Rather than offer the answer, since quite honestly you don’t know, encourage the other person to talk to the individual in question. The only other option puts you far from a position of networking. If you catch yourself guessing, speculating, or assuming you know someone’s status you’re not networking. Talking about them when they’re not present is gossip. Think seriously about it. Someone cares so much about another individual to ask but not to touch base. In this day of instant connectivity where everyone is accessible on social media, via email, or by phone that’s odd, don’t you think? There’s nothing positive that comes out of that for any one of the three parties involved. Don’t let yourself be a part. Suggest the one inquiring about a third party contact them. Or you contact them and find out how they really are. Seemingly small, this little glitch in your networking skills can keep others from confiding in you and leave you outside the networking loop. You talk about others? You talk about me. It’s not hard to imagine how anyone might make that decision about you. For some who seem to be extroverts and secure, there is an underlying insecurity and they care most about protecting their own stability. They would rather appear concerned and friendly than be concerned and friendly. Friendly actions extend beyond a random inquire. They’re consistent. 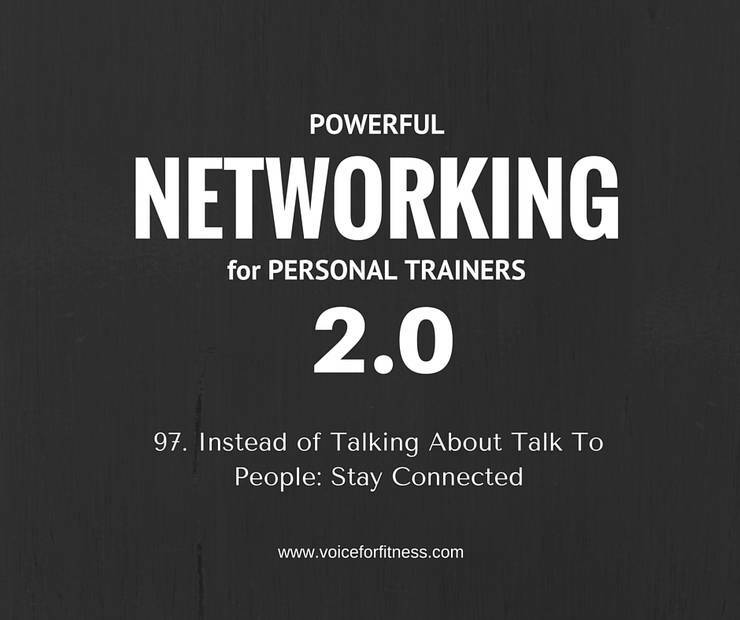 So should your networking. Yes, we’re all busy. Networking isn’t always organic. You have to put it on your calendar to connect with someone. But, don’t you even have to do that with your mother? Sunday night, right? Or for me it’s always when I’m traveling I let her know I’m leaving and returning. And that lately has been frequent. But something has to remind us. Keep in touch with the people who are important to you, the ones who meant a lot to you, supported you, helped you and who you could help or collaborate with in the future. Stay connected to those individuals who are just good people. You’ll be able to some day connect them to other good people. That is the kind of networking that makes the world a better place for all of us. Think back to conversations you’ve had in the last few days. Consider any negative feelings between you ..and coworkers, staff members, superiors, or competitors. Where have you contributed to gossiping instead of networking? Networking elevates you both. Gossiping brings you both down now and in the future. If it’s just not important? “I have lost touch, I really don’t know.” Not everyone who you come in touch with stays on your radar. Knowing the ones who should vs the ones who are just passing through is an art.